Where is the Cheapest Place to Get a Physical in Hickory, NC? Most doctors recommend getting a physical exam at least once a year. Physicals are used to ensure you are healthy and act as a way to catch potential health issues before they become serious problems. Are you looking for the cheapest place to get a physical in Hickory, NC? FastMed Urgent Care has locations in and around Hickory, NC, accepts most major insurance plans and offers discount programs. What Can I Expect From my Physical Exam? Where is the Cheapest Place to Get a Physical in Hickory, NC? How should I prepare for my physical? In most cases, no preparation is required for a physical exam, unless your healthcare provider gives you specific instructions. 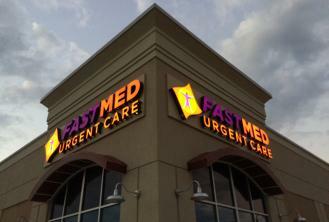 FastMed Urgent Care is open 7 days a week and is located on Conover Boulevard West in Hickory, NC. For anyone looking for physical exams, FastMed is quick, reliable and affordable. What other services does the FastMed in Hickory, NC offer? At FastMed, our healthcare professionals are eager to assist you every day of the year! Need a physical? a flu shot? Blood work? Whatever you need, our Hickory, NC location is available. Don’t know where Conover Boulevard West is? Click here to view a map.